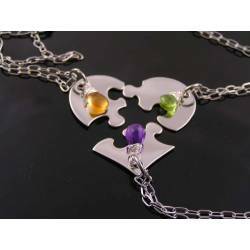 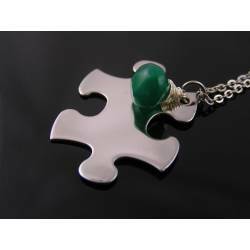 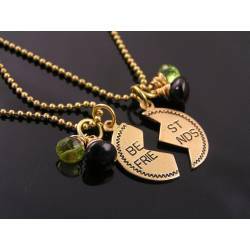 This listing is for 2 necklaces. 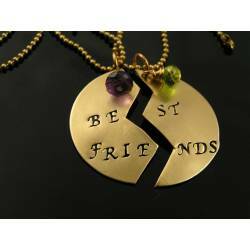 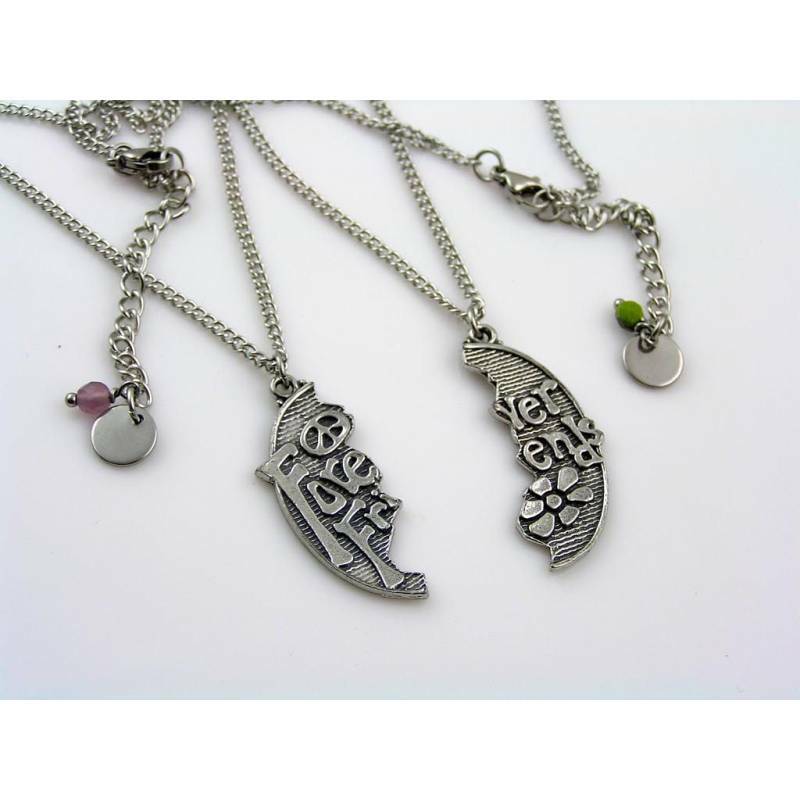 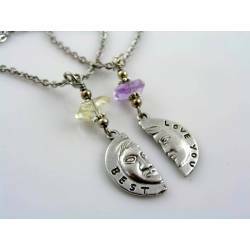 This is the perfect set of necklaces for friends. The oval pendant is divided into two parts, fitting together seamlessly. 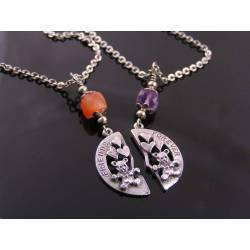 The pendants have been hand-cast right here in Australia out of high grade pewter. 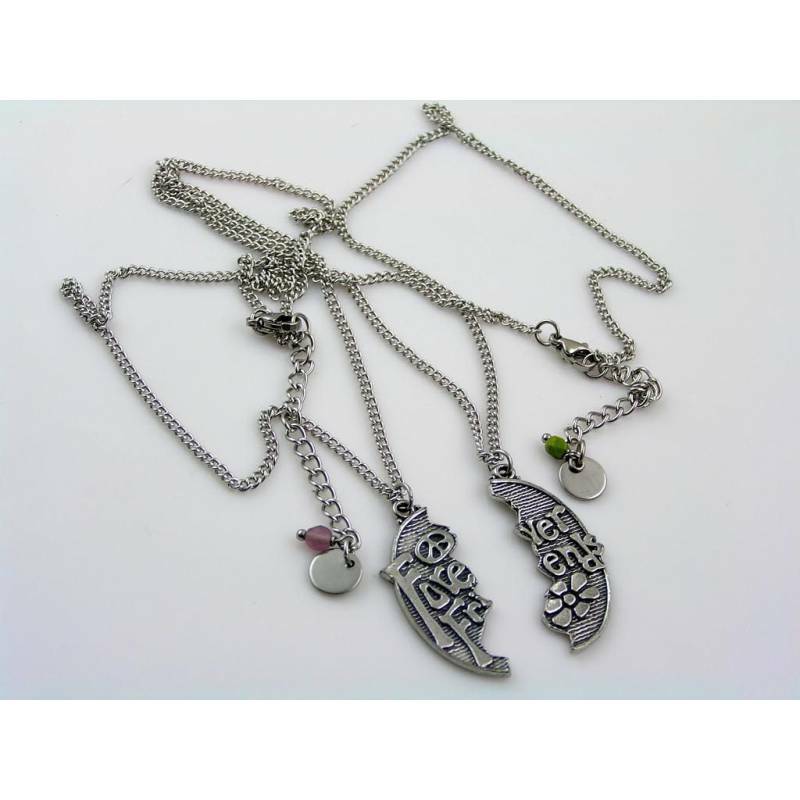 They are attached to solid stainless steel curb link chains, measuring 45cm or 18" in length with 5cm or 2" extension chains. 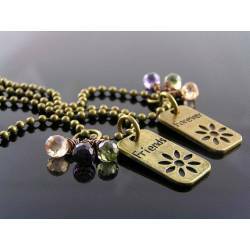 The last link of the extension chains has a wire wrapped Czech glass bead and a little circular tag attached. 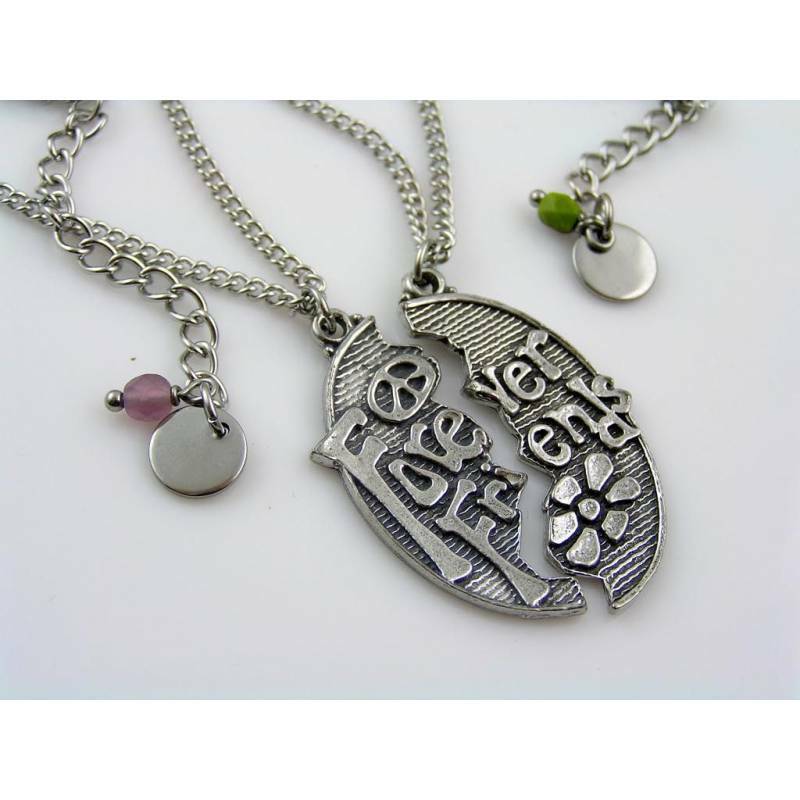 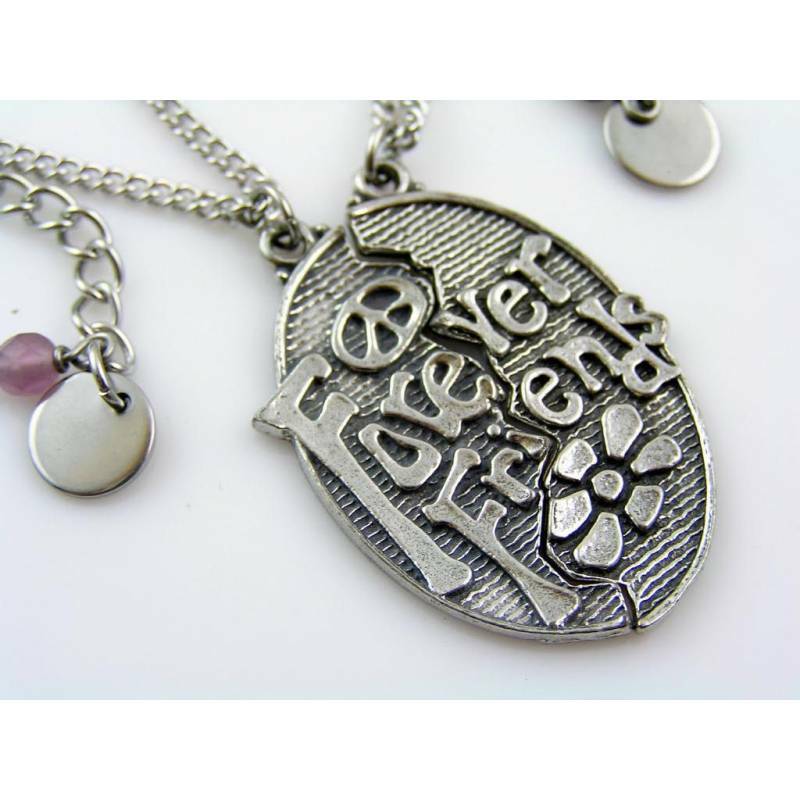 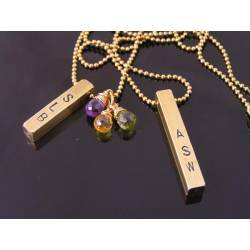 The tag can be stamped with your initials, please leave the letters (and for which necklace) in the note box below.